Photo:	Klaus Burkhart, Südwestpfalz Touristik e.V. 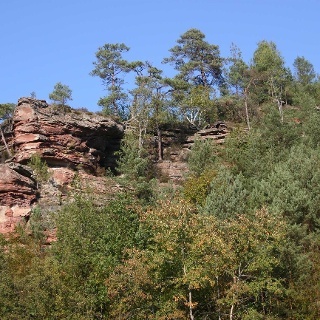 The new Premiumweg, Napoleon-Steig, leads hikers along natural pathways and through an impressive rock landscape with magnificent outlooks. 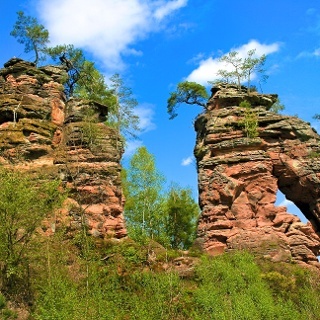 The first stop is the 500 metre-long rock formation, the Retschelfelsen. From here, a path leads to the newly-opened Eisenbahnfelsen rocks with their extraordinary honeycomb formations in eroded red sandstone. Other distinctive points of this tour are the Rauhbergfelsen and the Reinigshofquelle with its gorgeously fresh and drinkable spring water. 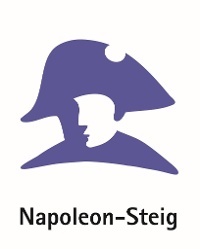 Above the flood plains is the bizarre namesake of this premium trail: the Napoleonfelsen. After a stop in the Pfälzerwald forest tavern “Am Schmalstein” there is a short climb before we then go through the Wöllmersbachtal and down to Bruchweiler-Bärenbach. B10 to the exit Hinterweidenthal, continue on the B427 to Dahn, there follow the signage "Felsland Badeparadies"
Starting point of the new premium trail "Napoleon-Steig" is the parking lot, Fabrikstr 18, Däumling Schühe in 76891 Bruchweiler-Bärenbach. 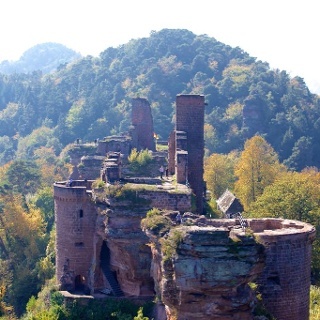 From here, the tour leads over a soft forest path and crosses an old military road at the foot of Retschlfelsen, an imposing 500m long red sandstone formation. The route then runs along a narrow natural path over a ridge to the recently-developed Eisenbahnfelsen, a real insider's tip. Here you will find bizarre honeycomb formations and unparalled erosions in the soft red sandstone. At the foot of the Eisenbahnfelsen you have a wonderful view of the Retschelfelsen, which you have just passed and idyllic villages, which are embedded in the legendary Dahner Felsenland. 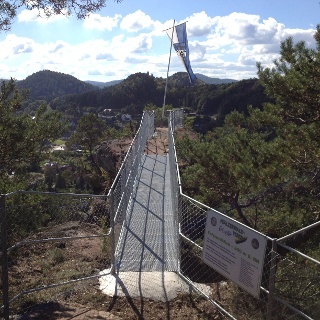 On a nature trail the way then leads to the Rauhbergfelsen. 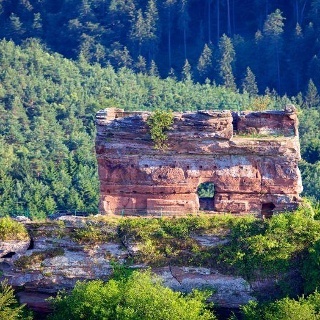 At the end of this rock formation is the only DAV centre outside of the Alpines, the Section Kaiserslautern. From here, we follow a narrow path down towards Reinigshof and continue on a soft forest trail for about 800 metres to the Reinigshofquelle. The spring water found here is used by the Reinigshof and the DAV hut and is constantly analysed, so is not only a great refreshment but also a healthy one. Now the route leads past an old oak tree, which overturned many years ago but still grows, along a beautiful flood plain. Continue up a soft and resilient path, which also carries the yellow dot trail marker of the Pfälzerwald Verein, up to the bizarre Napoleonfelsen popularly known as the "Rock Doll", the namesake of this premium trail. 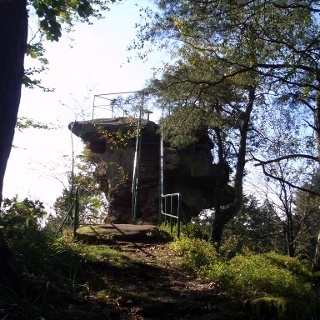 After about 700 metres of flat forest paths with some stunning panoramic views, we go down at the foot of the Dretschberg Felsmassiv to the forest tavern"Am Schmalstein” belonging to the Palatinate Forest Association of Bruchweiler-Bärenbach (opening times see author´s Tip). From here, we continue along a forest path, past the Käskammerfelsen (Natural Heritage Site) and up to the "Fleckenstein Hochebene". 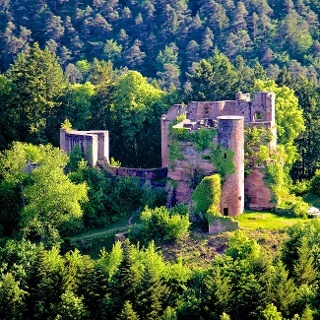 This plateau is located in the largest non-forested or built-up area of ​​the Palatinate Forest and provides panoramic views over the entire Wasgau right over to the neighbouring region of Alsace. There now follows a short descent on a narrow farm track, lined with old oak trees and orchards, down into the Wöllmersbachtal and the starting point of the Napoleon-Steig. B 10 to Hinterweidenthal, continue on the B427 via Dahn, Dahn-Reichenbach and turn left onto the L489 to 76891 Bruchweiler-Bärenbach, Fabrikstraße 18, Däumling-Schuhe. Or B48 to Bad Bergzabern via B427 to Erlenbach, then via Niederschlettenbach the L490 to Bruchweiler-Bärenbach. Wunderschöne, abwechslungsreiche Tour auf kleinen, schmalen Pfaden. Immer mal wieder Aussicht auf den Pfälzer Wald und auf eindrucksvolle Felsformationen. Gemütlich und mit ca. 30 Minuten Rast haben wir 4 Stunden 15 Minuten benötigt. Bei Traumhaften Wetter die Runde in entgegengesetzter Richtung gewandert.